Foire Gras is probably my least favourite out of the six shades I have from the collection and I do regret buying it. It dries down to a much darker brown shade which I'm not really a fan of. 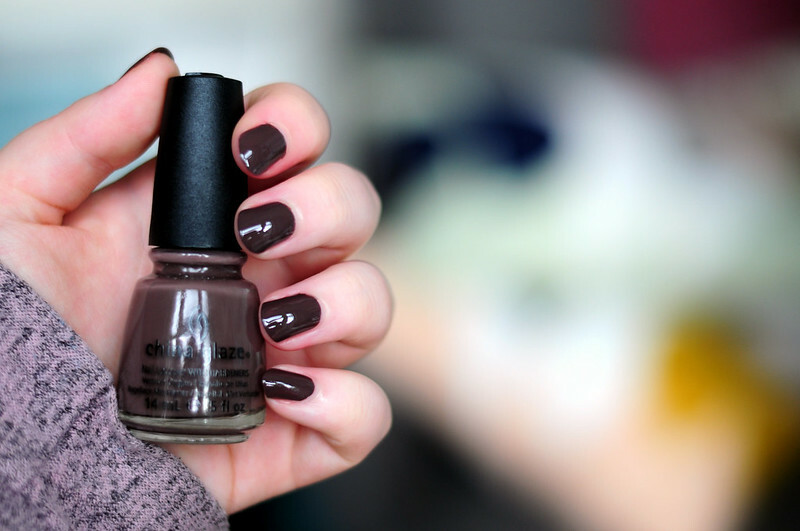 I much prefer the taupe shade it looks in the bottle. Just look at the shine this nail polish gives and that's without a top coat. Formula wise it isn't the best and needed three coats to become opaque. The first two layers were also quite thin and streaky and it didn't even out until the third. Capitol Colours Collection // Agro (District 11 – Agriculture) | Dress Me Up (District 8 – Textiles) | Electrify (District 5 – Power) | Fast Track (District 6 – Transportation) | Foie Gras (District 10 – Livestock) | Harvest Moon (District 9 – Grain) | Hook and Line (District 4 – Fishing) | Luxe and Lush (District 1 – Luxury) | Mahogany Magic (District 7 – Lumber) | Riveting (District 3 – Technology) | Smoke and Ashes (District 12 – Mining) | Stone Cold (District 2 – Masonry).